In this session of the Caregiver Smile Summit, we talk to Rima Bonario. You will learn about compassion fatigue and the anatomy of the body / energy body. Caregivers can be more effective by making sure they are taking good care of their own energetic environment as well as protecting themselves from unfavorable energetic conditions in their environment. 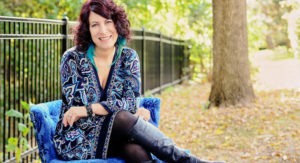 Rima will share how she has used these practices to support reducing stress in her life and share a set of five simple yet powerful practices called the SelfSET Technique that can support caregivers. Receive a link to her personal practice video.